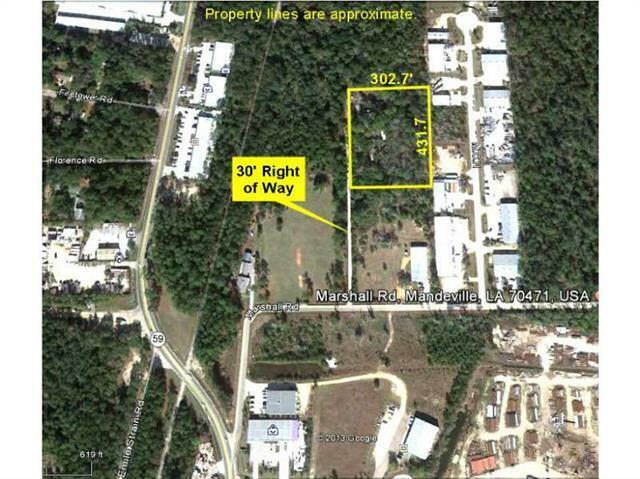 Three acres zoned I-2 located approximately one mile north of I-12 off Highway 59. Excellent price and location. Not in the city limits. The right of way shown in the aerial also provides access to the adjacent parcel north of the property.